When it became clear to the employers on the American home front that there was going to be a shortage of men, their attention turned to a portion of the labor pool who had seldom been allowed to prove their mettle: they were called women. 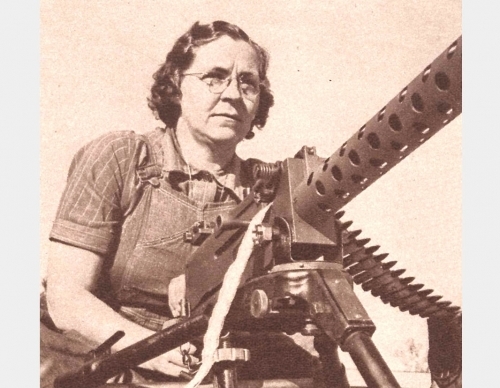 This article recalls those heady days at the U.S. Army's Aberdeen Proving Ground when local women were trained to fire enormous artillery pieces in order that the Army weapons specialists understand the gun's capabilities. This column primarily concerns the delight on all the men's faces when it was discovered that women were able to perform their tasks just as well as the men.